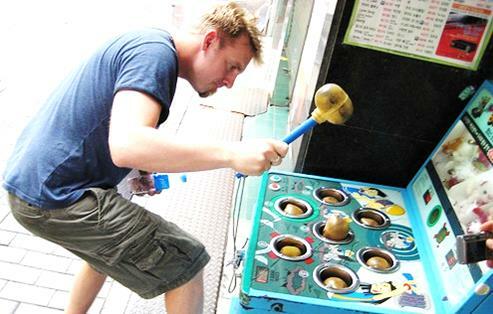 Was your career like ‘Whack-a-Mole’? My kids used to love the arcade game ‘Whack-a-Mole’. You know, the one that was a grid of holes with moles that would randomly pop-up out of them and you had to hit them as quickly as possible with a large padded mallet. It was great fun and oddly satisfying. Who doesn’t enjoy whacking something on the head and being rewarded with a pleasing noise? It also seemed to me to be a metaphor for management, and life, in a large corporate. Not that I managed my team like that. I wasn’t the man with the mallet. I was one of moles. Sometimes it felt like I was all of the moles at the same time. Every time I voiced an opinion, spoke out for something I believed in, or questioned the wisdom of what I was told to do, I got a whack on the head for my troubles. That was the reward for saying something that wasn’t ‘politically correct’. Of course, it wasn’t a whack with a large, padded hammer. That may have been preferable. No, I was told I was “going offside”, I was warned that it was a “career limiting act”. I was excluded from meetings. I was even banned from speaking to people outside of our division. Yes, even people who worked for the same company. And the whack hurts. It’s bewildering, upsetting, confusing. So each time I would put on some armour to protect from getting hit again. Only there seemed to be lots of different ways of getting whacked, for all sorts of different things. So I had to put on lots of different bits of armour, to deaden the force of the blows. When you leave and start to work outside the corporate bubble, you find that it’s not like ‘Whack-a-Mole’ at all. People have no reason to hit you over the head. They are not trying to control you, they are not trying to force you to behave in a certain way. They are trying to get stuff done. They want you to help them, and bring all of your talents and abilities to bear on their challenges. That’s when the armour becomes a problem. It’s not just protecting you from getting hurt, it’s concealing you, it’s disconnecting you from the people and the world around you. People can’t see who you really are, they can’t connect with you, so they choose others to work with. You see, in corporate life it makes sense to hide in your hole and only show yourself occasionally, so you don’t get whacked too often. But outside, after the Mothership, you have to show yourself all the time, so that people can see who you really are and connect and build a relationship with you. All that armour just gets in the way. It’s got to go. Of course, it’s really hard to shed. It’s your protection, it makes you feel safe, it’s your comfort zone. You believe that if you if you take it off, you will get whacked again. You fear exposing the real you, being vulnerable, because then people can hurt you. But the truth is that they are more likely to want to help you than to attack you. They are more likely to respond to you with love than with hurt. You see, you’ll find that after the Mothership, life changes. The game’s not ‘Whack-a-Mole’ anymore. Now you’re playing ‘Help your Neighbour’ and you have lots of new friends to play it with. Are you upset by Brexit? We are still being shaken by the aftershocks of EU referendum debate as the consequences reverberate around the country and beyond. For many people it has hit them emotionally in a way they did not expect and has roused an intensity of feelings on all sides that we have not seen for many years. For Remain voters, the unthinkable has occurred. Many say they woke up on the day after and felt that they no longer knew their country. Overnight they had been transplanted to a place they did not recognise or understand and that are struggling to come to terms with this new reality. Shock was followed by anger as people moved through the stages of grief, mourning for something they never fully realised they had and could not clearly describe. A sense of being European, being part of something bigger, being connected to our neighbours. A sense of a fellowship that had been torn apart in an instance. People are feeling lost and disoriented as things they believed were solid and enduring in their world have now dissolved into the ether. They neither know what they have left behind or what future they are moving towards.In this place of uncertainty and ambiguity, they are gripped by fear and anxiety. The pain and anguish people are feeling is very real as their concepts of who they are, what they belong to and who they are connected to are thrown into doubt. These are the core needs of human beings, we feel vulnerable and exposed when they are not met. It is not going too far to say that, for many, the referendum has plunged them into an existential crisis. So how is this relevant to you who have left the corporate world, to your life After the Mothership ? As a country, we are clearly in a period of transition, from being a member of the EU to some other state of being. As an individual in transition, your are experiencing the same effect. You are mourning for something that you never full realised was there, for a future dream that you were not quite aware of. Something has been snatched away that you cannot really explain but you feel the loss keenly. The thing that gave you a sense of belonging and filled your need for connection has gone, before you had ever realised that you relied on it in that way. Like the goldfish in the bowl who is unaware of the water around them, you did not see the environment that was sustaining you and, now you are out of it, you are flapping around and gasping for breath. The dislocation and disorientation that you feel is a natural and necessary part of the process of transition, as the past recedes before from future has come into focus. All your feelings of fear and anxiety are perfectly normal, rational responses to your situation. 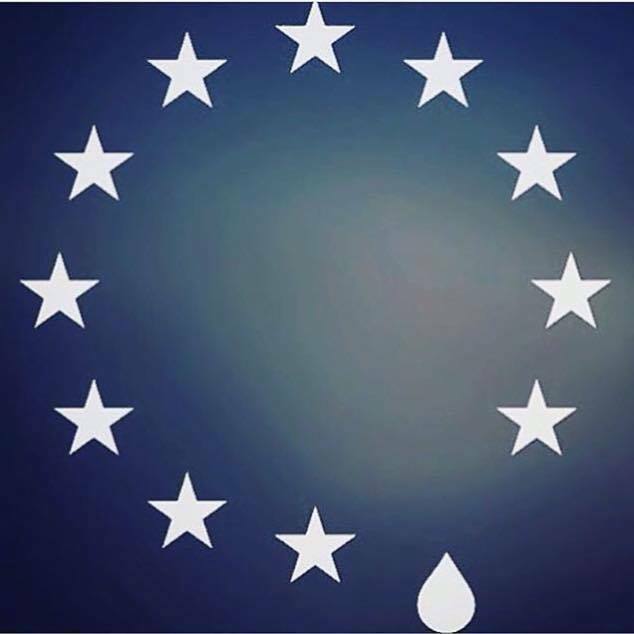 No-one is denying the magnitude of the events occurring and the massive changes that our political, economic and social systems are going through as a result of the referendum decision. Our politicians are in disarray, our economy in flux and our society in turmoil. Yet, when people leave the Mothership, they often dismiss it as a ‘bump in the road’ or a ‘bit of a change of lifestyle’. In fact, it’s a seismic shock to your world and you need to acknowledge this and the emotional impact it has upon you. To do otherwise is to stay in denial and fail to move through your transition successfully. I have no idea what the outcome for our country will be and whether this will be a relatively easy or an extremely painful transition. (I hope for the former but fear the latter). However, I do know that you can make your transition go more smoothly by learning from the mistakes that I have made and from the experience the country is going through right now. Whatever the fate of the UK is after Brexit, you can create a bright future for yourself, After the Mothership.